Language is a powerful tool, and the better you are at wielding it the better your results will be. If you want to engage your audience and pique their interest, you need to develop exceptional written communication skills. A big part of improving your writing skills is simply learning how to improve your vocabulary. Below, we’ll take a comprehensive look at why improving your vocabulary matter, and we’ll review a variety of methods that you can use to quickly grow your vocabulary. When you’re working as a writer, words are the only tool that you have available to help you communicate a personality, an emotion, or an idea. 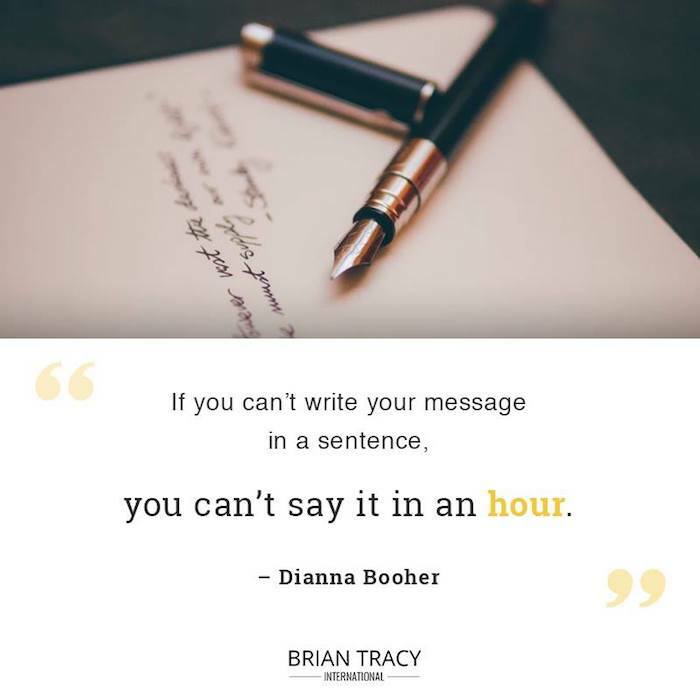 Therefore, the more words you know and can use, the more likely it is that you will be able to find the perfect way to string together your thoughts into a message that will get the job done. Having a large vocabulary allows you to say the same thing in a variety of different ways. This means that you will be able to rewrite ideas from resources that you find without plagiarizing the original source. You’ll also be able to better customize your message to specific audiences. Of course, having a mastery of the English language will also improve the quality of your writing as well, and help you establish a sense of professionalism and expertise. Is one of your dreams to learn how to write a book? Writing a book that is free of grammar and spelling errors will increase your chances of actually getting it published. By the way, this free guide to publishing books will show you a lot more ways to improve your odds with a publisher. In summary, if you intend to use written material to share a message or communicate with the masses, in any way, expanding your vocabulary is an excellent way to make it easier for you and for your readers. You may already have an impressive vocabulary or you may be starting out with only a basic set of words that you are able to pull from when you’re writing. The good news is that no matter where you are starting out, the process for improving your vocabulary even further remains the same. Expanding your written vocabulary is, fortunately, much easier than expanding your speaking vocabulary. The reason for this is that writing offers two big advantages that speaking does not: time to think and a backspace key. When you’re writing, you’ll have all the time you need to search your mind (or a thesaurus) for the exact word that you need. You’ll also have the ability to delete a word or a sentence and start over if need be. Nevertheless, the goal is to eliminate the need for these things as much as possible. Consulting a dictionary or a thesaurus every few minutes may be fine starting out, but it’s going to make for a slow, painstaking writing process. You’ll be much better served by having a deep vocabulary that you can draw from at-will in your writing so that the words flow quickly and effortlessly from your mind to the keyboard. If you’re ready to start improving your vocabulary, there are a variety of strategies that you can employ. It’s important to note, though, that all of these strategies take time and effort. Mastering the English language overnight is no more possible than it is to master any other skill overnight. With that said, these strategies are still designed to help you improve your vocabulary skills as quickly and as effectively as possible. Without further ado, let’s dive into some of the strategies you can use to expand your vocabulary. How can I Learn Vocabulary Words? Reading everything you can get your hands on is one of the most passive and most effective ways to boost your vocabulary. When you read, you’ll see new words put into use by writers who are likely to have a diverse vocabulary and you can add these words to your own vocabulary as you come across them. The best part about reading to improve your vocabulary is that it doesn’t matter what it is that you read; whether it’s a how-to guide on the internet, a romance novel, or anything in-between, the simple act of digesting written material will drastically improve your vocabulary over time. Dictionaries and thesauruses are the two most effective vocabulary-expanding tools that you have available, and you can use each of them in a slightly different way. Whenever you come across a word that you don’t understand, look it up in a dictionary and take the time to commit the word and its definition to memory. Meanwhile, you can look up words that you already know in a thesaurus at any time to find other words that mean the same thing. Commit a few of those words to memory and you’ll have the ability to say the same thing in a number of different, more eloquent ways. There’s a good reason why flashcards are a favorite memorization tool for students everywhere, and that reason is that they work well. Start by putting together a few dozen flash cards filled with words that you don’t yet have committed to your vocabulary, and frequently add new flashcards to your collection. If you run through these flashcards just once a day you will be well on your way to expanding your vocabulary. Whenever you’re sitting in traffic, relaxing at home, waiting in line at the coffee shop, or otherwise not preoccupied, try a mental exercise where you describe your surroundings in your head. Do you know the name of everything in your setting? What words would you use to describe the people around you? Ask yourself questions such as this and paint a mental picture of the world around you using the most descriptive language that you can. Exercises such as this will help you put the new words you use into practice in order to better commit them to your memory. In the same way that reading grows your vocabulary, listening can grow your vocabulary as well. Listening to music is one good option, especially if you are listening to artists that are creative with their verses and rhymes. However, listening to podcasts, audiobooks, and more can also improve your vocabulary over time as well. Learning just one new word a day isn’t a particularly challenging goal, yet it is one that can make a dramatic difference in your vocabulary. Each day, choose a new word to memorize and try to use that word as often as you can throughout the day. Learning just one new word every day is a highly effective way to incrementally expand your vocabulary over time. To use this method, you can pick a word at random from the dictionary or you can use one of many daily vocabulary word programs that will send a new word to your inbox each day. Dictionary.com and other online dictionaries also feature a new word each day on the homepage of their website that you can check out. However you choose your daily word, though, take the time to memorize the word and try to use it as much as possible in conversation or in your mind throughout the day. If you give your daily word enough focus, you should be able to make it a permanent part of your vocabulary after just 24 hours. Learning a new word a day is such an effective strategy thanks to the fact that it requires only a minimal amount of commitment and effort yet still allows you to add a new word to your vocabulary each and every day. If there’s only one vocabulary-building strategy that you choose to implement, it should be this one. An effective addition to your strategy of learning a new word a day that you might want to consider is keeping a list of the words that you choose to learn along with their definitions. If you keep a list such as this, you’ll be able to review it from time to time in order to further commit your daily vocabulary words to memory and ensure that you don’t forget them as time goes by. Your list will also serve as a visual example of how much your vocabulary has expanded, which can be a big motivator to keep up your progress. 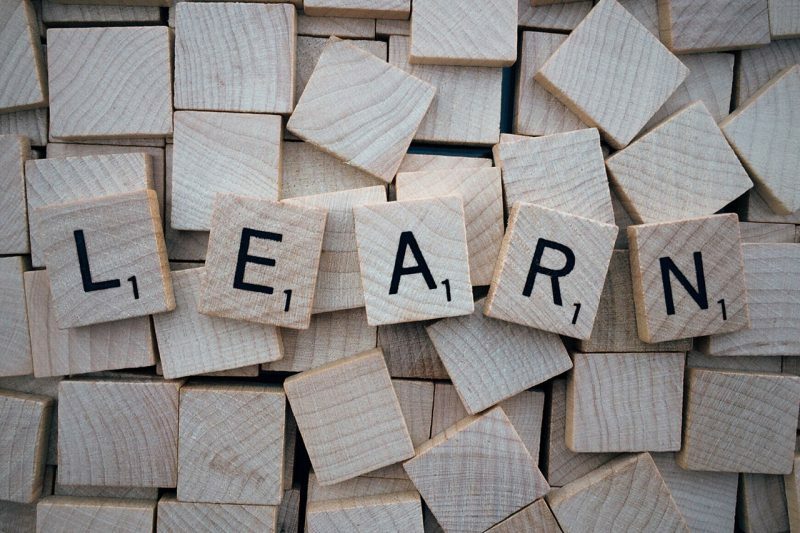 Learning new words alone isn’t enough to truly improve your vocabulary; in order to make the words you memorize a functional part of your vocabulary that you can use in your writing, you also need to put the words you memorize into practice. In the next section, we’ll look at some activities and exercises that you can use in order to practice using the words that you learn. There are plenty of effective activities that you can use to put the words you learn into practice as well as learn new vocabulary words in the process. There is a wide range of online games designed to help you improve your vocabulary. These games can serve as a fun and entertaining way to learn new words and put the words that you already know into practice. Many online dictionaries such as Dictionary.com offer free vocabulary games, and a quick Google search for vocabulary games will turn up even more options. Vocabulary tests allow you to test your current vocabulary and receive a score at the end of the test that lets you know what level you are on. In addition to improving your vocabulary by exposing you to new words, these tests also allow you to gauge your progress so that you will know if and by how much your vocabulary is improving. As with vocabulary games, a wide range of vocabulary tests can be found with a quick Google search. Vocabulary quizzes are similar to vocabulary tests, but are typically shorter and may not provide a very detailed analysis of your vocabulary level once the quiz is complete. Nevertheless, vocabulary quizzes are still a great way to practice your vocabulary and measure your results. Vocabulary worksheets come in a wide range of formats. Some can be completed online while others can be printed off and completed by hand, and the exact goal and instructions for the worksheet vary from worksheet to worksheet. Whatever format you choose, though, vocabulary worksheets are a great way to practice your vocabulary skills. What is the Best Way to Learn Vocabulary? There is no single best way to learn vocabulary, and the most beneficial approach will come from implementing a number of different practices and strategies. Hopefully, this guide has given you plenty of vocabulary-building methods for you to consider implementing. If you choose a handful of these methods and commit to them each day, you can rest assured that your vocabulary will improve over time, helping you write more effective content for your business. You may be searching to improve your vocabulary because you want to write a book. I’ve written and published over 80 books over my career and vocabulary has been very important to my success. If you’d like to learn more about writing a book, click below to watch my training webinar. Language is a powerful tool. One big part of improving your writing and speaking skills is simply learning how to improve your vocabulary.